The American Council for Southern Asian Art (ACSAA) invites you to visit its newly updated website, where you can browse calls for papers, job and fellowship listings, and, for members, recent and past issues of the ACSAA Bulletin. Please send news and postings for the website to ACSAA’s webmaster, Cathleen Cummings. Please also watch the ACSAA website and listserv for news about upcoming elections. ACSAA will be voting on new board members, changes to membership fees, and several other initiatives. You must be a member in good standing to be eligible to cast your vote. Help shape the future of ACSAA. The Association of Art Historians (AAH) has announced that Christine Riding is the new AAH chair, serving a three-year post. She takes over from Alison Yarrington. Riding is senior curator and head of art at the Royal Museums Greenwich in London. Previously she was curator of eighteenth- and nineteenth-century British art at Tate Britain and held curatorial positions at the Palace of Westminster, Museum of London, and the Wallace Collection. Riding has lectured and published widely on the history of eighteenth- and nineteenth-century British art and has organized a number of international exhibitions at Tate Britain and Tate Modern. Her current projects include curating Turner and the Sea, a major exhibition that opened at Greenwich in November 2013. She also served as an AAH trustee between 2004 and 2007 and was deputy editor of Art History between 2007 and 2012. Riding has participated on the Clore Leadership Programme and was recently appointed as an impact assessor for REF2014. The Community College Professors of Art and Art History (CCPAAH) had a successful session at this year’s CAA Annual Conference in Chicago. “Starting the Conversation: Engaging Students in the Studio and Art History,”chaired by Susan Altman of Middlesex County College, featured: Tyrus Clutter, College of Central Florida, “Flipping the Classroom with Digital Demonstrations”; Monica Anke Hahn, Community College of Philadelphia, “Virtual Engagement: Conversations in Online and Hybrid Classes”; and Julianne Parse Sandlin, Portland Community College, “Low-Tech Engagement: Art History and the Class Discussion.” The prospectus for next year’s conference session will be posted later this spring on CCPAAH’s Facebook page. To become more involved in the organization, please email ccpaah@gmail.com. The next biennial conference of Foundations in Art: Theory and Education (FATE), called “Tectonic Shifts” and hosted by the Herron School of Art and Design at Indiana University–Purdue University Indianapolis, will be held March 25–28, 2015. The event will take place in the heart of downtown Indianapolis at the Westin Hotel Indianapolis, which just completed a $14 million renovation. You can access hotel registration information via the FATE website. FATE’s Programming Committee is now reviewing the call for session proposals. While the call for sessions is now closed, a call for papers was sent in April 2014. Approximately one hundred sessions will run during the three-day conference. Papers will be accepted from all who contribute to the foundation experience. The “Tectonic Shifts” FATE members exhibition will take place in one of Indianapolis’s most respected exhibition venues, the Herron School Art and Design Galleries. A call for exhibition entries will go out in mid-May. The conference keynote speaker is Wayne White, an American artist, art director, illustrator, puppeteer, and much, much more.White has traveled the country delivering an incredibly entertaining hour-long talk in which he discusses his life and work, while making time for banjo and harmonica playing. The Historians of German and Central European Art and Architecture (HGCEA) has elected a new board of directors for a three-year term, 2014–17. They are: Marsha Morton, president; Jay Clarke, secretary; Jim Van Dyke, treasurer; Elizabeth Cronin, web manager; and Keith Holz, Karla Huebner, Juliet Koss, and Elizabeth Otto, at-large members. The Historians of Netherlandish Art (HNA) will hold its next conference June 5–7, 2014, in Boston, Massachusetts. The event will be held in cooperation with the American Association for Netherlandic Studies and involve sessions and workshops with focus on Netherlandish art from 1350 to 1750. Please see the HNA website for more information. The next formal deadline for submitting manuscripts to the Journal of Historians of Netherlandish Art, HNA’s peer-reviewed, open-access ejournal, is August 1, 2014. In addition to longer articles, the journal welcomes shorter notes on archival discoveries, iconographical issues, technical studies, and rediscovered works. For submission guidelines, see the journal’s website or contact Alison Kettering, senior editor, at aketteri@carleton.edu or aketteri@jhna.org for more information. The United States chapter of the International Association of Art Critics (AICA-USA) will hold its awards ceremony and dinner to honor the best exhibitions that opened between January and December 2013 at the studio of Izhar Patkin in New York on Monday, May 12, 2014, 6:00–9:00 PM. The Italian Art Society (IAS) invites scholars in Italy this spring to attend the fifth annual IAS/Kress Lecture in Italy by Jean K. Cadogan, professor of fine arts at Trinity College in Hartford, Connecticut, whose paper is titled “‘Maravigliose istorie’: The Mural Decoration of the Camposanto in Pisa.” Cadogan will share her intriguing work on the multiphase, comprehensive program of painting on the walls of the Camposanto in a presentation on May 27, 2014, at the Gipsoteca of the Università di Pisa. See the IAS website for details. In addition, the IAS website publishes information about the organization’s activities at the upcoming forty-ninth International Congress of Medieval Studies in Kalamazoo, Michigan, taking place May 8–11, 2014. IAS will hold a business meeting at 5:30 PM on Thursday, May 8 (in Valley II, Garneau Lounge), plus three IAS-sponsored sessions (all in Bernhard 209) and an IAS reception (in the second floor lobby of Bernhard) at 5:30 PM on Friday, May 9. All members and prospective members are welcome! The National Art Education Association (NAEA) is accepting proposals for presentations for the 2015 NAEA national convention, to be held March 26–28 in New Orleans, Louisiana. You must be an NAEA member to submit a proposal. The deadline is May 15, 2014. NAEA also announces two new publications: Practice Theory: Seeing the Power of Art Teacher Researchers and Purposes, Principles, and Standards for School Art Programs. Studies in Art Education, the NAEA’s professional refereed journal, is a quarterly publication that reports quantitative, qualitative, historical, and philosophical research in art education. View a sample digital issue. The cost for a one-year subscription is $20 for NAEA members, $30 for nonmembers, and $45 for Canadian/foreign subscriptions. NAEA announces SummerVision DC: Hands-On Learning in Art Museums. Choose from two sessions: July 8–11, 2014, or July 22–25, 2014. Now in its fifth year, NAEA SummerVision DC is an annual event offered by NAEA in partnership with Washington, DC–area art museums. Upon completion of the program, participants will receive a certificate of participation with thirty clock hours of professional development. The cost is $495 (NAEA members) and $549 (nonmembers). Each session is limited to twenty-five participants. The New Media Caucus (NMC) has announced the results of its recent board and officer elections. The NMC board of directors voted to add two new officer positions to its Executive Committee: chair of the Communications Committee and chair of the Events and Exhibitions Committee. A. Bill Miller, assistant professor at the University of Wisconsin in Whitewater, joins the board and begins a one-year term as the chair of the Communications Committee. Joyce Rudinsky, associate professor at the University of North Carolina in Chapel Hill, was voted as the chair of Exhibitions and Events Committee. NMC also welcomes new and reelected board members: Barbara Rauch, Kevin Hamilton, Joshua Selman, A. Bill Miller, Rachel Clarke, and Mat Rappaport. Rappaport was reelected as secretary, and Vagner Whitehead, associate professor at Oakland University in Rochester, Michigan, begins his term as the fourth NMC president. The NMC board would like to thank its former president, Paul Catanese, for his leadership over the past six years. Under his tenure NMC has grown into an organization of over nine hundred members and developed annual programming that highlights the practice and scholarship of new-media art and theory. He now sits on the Executive Committee as immediate past president. NMC also wants to thank board members whose terms have ended for all the work they have done in the past years: Mike Salmond, Dima Strakovsky, Leslie Raymond, and Gwyan Rhabyt (president emeritus). Finally, NMC thanks the members of the Nominations Committee who oversaw the election: Mina Cheon, Meredith Hoy, and Mat Rappaport. The conference of the European chapter of Pacific Arts Association (PAA) was held April 24–26, 2014, at the Rautenstrauch-Joest-Museum-Cultures of the World in Cologne, Germany. The conference coincided with the exhibition Made in Oceania: Tapa – Art and Social Landscapes. Learn more about conference registration, programs, accommodations, and special events on the PAA website. A CAA session on “Public Art and Its Role in Placemaking from an International Perspective” featured the speakers Marisa D. Lerer, Norie Sato, and Jack Becker. Chaired by Erika Doss, another session, “Vandalism, Removal, Relocation, Destruction: The Dilemma of Public Art’s Permanence,” featured the following presentations: “Yankees, Automobiles, and Other Hazards: Shattered Monuments and the Problem of Confederate Memory,” by Sarah Beetham; “Marking Memory: Ambiguity and Amnesia in the Monument to Soviet Tank Crews in Prague,” by Jenelle Davis; “Maintaining Problematic Public Art,” by Christine Young-Kyung Hahn; “Distant Stars, Black Holes, and Burned Out Sculptures: Media Obsolescence and the Trouble with Public Art,” by Julia E. Marsh; and “The Sordid Pasts of Public Art and How We Go About Protecting Them,” by Michele Bogart. 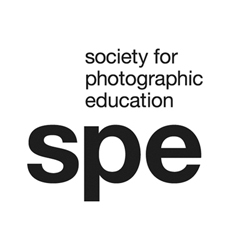 The Society for Photographic Education (SPE) is accepting proposals for its 2015 conference, “Atmospheres: Climate, Equity, and Community in Photography.” Topics may include but are not limited to: image-making, history, contemporary theory and criticism, new technologies, effects of media and culture, educational issues, and funding. SPE membership is required to submit; proposals are peer reviewed. Proposals are due by June 1, 2014. Visit the SPE website for full proposal guidelines. Applications and nominations are due by July 1, 2014. Visit the SPE website for more information about these awards. The Society of Architectural Historians (SAH) is accepting applications for its 2014 SAH/Mellon Author Awards, designed to support emerging authors publishing monographs on the history of the built environment who are responsible for paying for rights and permissions for images in their publications. The deadline is June 1, 2014. SAH is also accepting abstracts for papers for its sixty-eighth annual conference, taking place April 15–19, 2015, in Chicago, Illinois. Abstracts may be submitted for one of the thirty-two thematic sessions or for an open session. The deadline to submit is June 6, 2014. Visit the SAH website for details. Carolyn Garrett has been named SAH development director. She has over twelve years of experience in resource development and previously held positions at Changing Worlds and Chicago Foundation for Women. The Society of Historians of Eastern European, Eurasian and Russian Art and Architecture (SHERA) seeks proposals of papers for its sponsored session, “Reconsidering Art and Politics: Toward New Narratives of Russian and Eastern European Art” at CAA’s 2015 Annual Conference in New York. The session aims to move beyond conventional binary narratives of art and power by inviting papers that challenge these interpretations and highlight the complexity of artistic responses produced at the nexus of aesthetics and politics. The chairs seek historically grounded case studies of Russian, Eastern European, and Eurasian art from the Byzantine era to modern times that productively explore these issues. 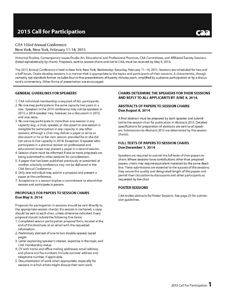 Interested contributors should see CAA’s 2015 Call for Participation and send proposals with other required materials to the session’s cochairs, Galina Mardilovich and Maria Taroutina. The deadline for proposals is May 9, 2014. SHERA is delighted to welcome two new institutional members: the Russian American Cultural Center, an organization that sponsors exhibitions, arts events, and scholarly symposia in the greater New York area; and Centro Studi sulle Arti della Russia in Venice, Italy, a center for the research and study of Russia’s rich cultural heritage. The Southeastern College Art Conference (SECAC) has announced the newly elected members of its board of directors: Sandra Reed, Savannah College of Art and Design; Reni Gower, Virginia Commonwealth University; and Ria O’Foghludha, Whittier College were reelected to a three-year term. In addition, Heather Stark of Marshall University and Ute Wachsmann-Linnan of Columbia College were elected to a three-year term. 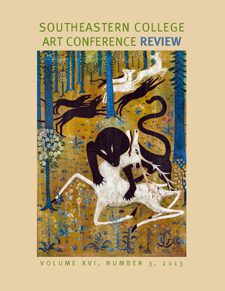 The new issue of the Southeastern College Art Conference Review has been published. It is volume 17, number 3, 2013. The 2014 Summer Educational Institute for Visual Resources and Image Management (SEI) will be held June 10–13 at the University of Illinois in Urbana-Champaign. This intensive workshop features a curriculum addressing the latest requirements of today’s visual-resources and image-management professionals. Expert instructors will cover: intellectual-property rights; digital imaging and digital preservation; metadata and cataloging; project management; and professional development. SEI is open to all individuals interested in visual resources and image management. 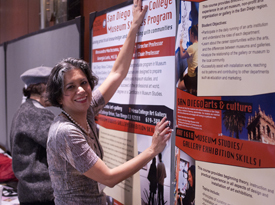 Past participants have included: current graduate students and recent graduates; visual-resources professionals; information, library, and museum professionals; art historians; and digital-collection managers. Founded over ten years ago, SEI is a joint project of the Art Libraries Society of North America (ARLIS/NA) and the Visual Resources Association Foundation (VRAF). SEI provides information professionals with the information and experience needed to stay current in a rapidly changing field, and significant networking opportunities. Registration for members of VRA or ARLIS/NA and University of Illinois staff and students is $595; registration for nonmembers is $675. For more information or to register, visit the SEI website. Michelangelo’s famous statue of the biblical figure David is at risk of collapse due to the weakening of the artwork’s legs and ankles, according to a report recently published by art experts. The findings, which were made public by Italy’s National Research Council, show microfractures in the ankle and leg areas. (Read more from the Los Angeles Times). The humanities are in crisis again, or still. But there is one big exception: digital humanities. In 2009, the nascent field was the talk of the Modern Language Association convention: “among all the contending subfields,” a reporter wrote about that year’s gathering, “the digital humanities seem like the first ‘next big thing’ in a long time.” Even earlier, the National Endowment for the Humanities created its Office of Digital Humanities to help fund projects. And digital humanities continues to go from strength to strength, thanks in part to the Mellon Foundation, which has seeded programs at a number of universities with large grants. (Read more from the New Republic). Mary-Faith Cerasoli has been reduced to “sleeping in her car, showering at college athletic centers and applying for food stamps,” the New York Times recently reported. Is she unemployed? No, in fact, she is a college professor—but an adjunct one, meaning she is hired on a short-term contract with no possibility of tenure. (Read more from the Atlantic). In the art world’s internal sense of time, the degree show is in many ways the equivalent of New Year’s Eve: a point at which to collectively celebrate the birth of the future, while taking stock of the events of the past year. Reflecting on the 2013–14 academic year, it is clear that one of the most pressing issues is that of value, and the need continually to defend the arts in this respect. It is interesting to note the difference between making art for yourself—which holds value for you as an individual—and pursuing a career as an artist by studying for a degree in fine art or a related field. By doing the latter, you are implicitly deciding that your creativity also holds value for others. (Read more from the Guardian). “Printing the internet is not creative nor art. It is a waste of time and resources. Please, find something more creative to do.” So reads a comment on a petition on change.org. Directed at Kenneth Goldsmith, the petition was published in 2013 in response to a project the poet organized at LABOR gallery in Mexico City, where Goldsmith invited people from all over the world to print out the internet and send the pages to the gallery. (Read more from Rhizome). It’s easy to get excited about the prospect of funding via grants, which carry a certain amount of prestige and the assurance that your work is (at least somewhat) funded, not to mention the fact that, if a funder is willing to give you a grant, they respect your work. But as the saying goes, only fools rush in. (Read more from Fractured Atlas). At CAA’s 2014 Annual Conference in Chicago, Joshua Selmanand Pat Badanilaunched a discussion that examined what was happening at CAA this year as it applied to the New Media Caucus, to Media-N Journal, and to CAA members. (Read more from Artist Organized Art). 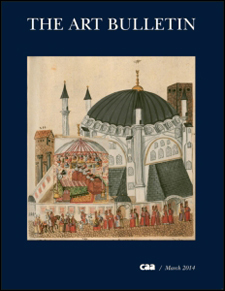 The March 2014 issue of The Art Bulletin, the leading publication of international art-historical scholarship, is the first in the editorship of Kirk Ambrose and the first copublished with Taylor & Francis. The issue opens with a new recurring feature, “Whither Art History?” The inaugural essay by Griselda Pollock critically engages interpretive and institutional trends within the discipline. In the long-form essays that follow, Mary D. Garrard explores the effect of love on Michelangelo’s creativity by analyzing the Renaissance artist’s cryptic drawing Children’s Bacchanal (1532–33) in her essay, “Michelangelo in Love.” For his contribution, titled “Map as Tapestry,” Jesús Escobar argues that Pedro Teixera’s monumental 1656 map of Madrid is not only a remarkable scientific achievement but also a sophisticated art object. Next, in “The Fragrance of the Divine,” Nina Ergin considers the olfactory traditions underlying Ottoman incense burners and discusses their complex meanings. Finally, Edith Wolfe demonstrates in her essay, called “Paris as Periphery,” how the art of Vicente do Rego Monteiro reflects a specifically Brazilian cosmopolitanism at the core of a counternarrative of modernity in the 1920s. In the Reviews section, an Art Bulletin Centennial review essay by Mariët Westermann assesses the two volumes of De Hollandsche schilderkunst in de zeventiende eeuw, which examine the work of Frans Hals and Rembrandt van Rijn. Tanya Sheehan reviews two books on interdisciplinary subjects: Knowing Nature: Art and Science in Philadelphia, 1740–1840, edited by Amy R. W. Myer, and The Premise of Fidelity: Science, Visuality, and Representing the Real in Nineteenth-Century Japan, written by Maki Fukuoka. Three recent books on Mexican art—Mary K. Coffey’s How a Revolutionary Art Became Official Culture, Adriana Zavala’s Becoming Modern, Becoming Tradition, and Shelley E. Garrigan’s Collecting Mexico—are assessed by Rick López. Josh Ellenbogen ruminates on two books on art and technology, Illusions in Motion: Media Archaeology of the Moving Panorama and Related Spectacle by Erkki Huhtamo and Enfoldment and Infinity: An Islamic Genealogy of New Media Art by Laura U. Marks. CAA sends The Art Bulletin to all institutional members and to those individuals who choose to receive the print journal as a benefit of their membership. In addition, online versions of the articles in each issue are available to CAA members who log into the CAA members’ portal. 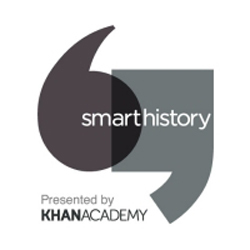 The next issue of the quarterly publication, to appear in June 2014, will feature the next “Whither Art History?” essay, by Parul Dave Mukherji, and essays on Greek domestic mosaics, death masks produced in eighteenth- and nineteenth-century Europe, the architecture of the Jaipur Economic and Industrial Museum, and Frank Lloyd Wright’s Kalita Humphreys Theater.